Few years back, when I joined blogger world, thoroughly enjoyed it's routine, spent vast amount of time in hopping over to fellow bloggers posts, recipes and leaving encouraging words on their blogs, also immensely enjoyed and appreciated same support from them too. But now the culture is that we work and breathe to compete against the rest, we also are caught up in a hectic and busy lifestyle, left with little time and so our priorities have become our passion ! Obviously, I have my priorities too, so for me blogging is not a first priority, however I make sure that I do not get too passionate about priorities that I dont have time to live. For me blogging is my hobby and fun, therefore I am not totally neglecting my blog and top of that one thing I can't ignore or neglect , it's our Potluck Party, Cyber Style, abundantly clear that I eagerly wait for. Potluck Party, Cyber Style ! Challenge we take twice in the month, not only we are enjoying it by sharing our recipes, but preparing fellow members dishes, discussing about it gives us more pleasure. In my personal view I think this challenge not only boost traffic to our blog and increases loyal readers , but personally I am getting so much out of it, gaining extra skills and knowledge. The dishes our friends are sharing with us have their personal touch to it and when you prepare same dish you can sense or feel that touch, and that is the biggest achievement, getting whole experience about different taste, touch and texture of that dish, that you may never feel if you don't explore the potluck party. This month it is my pleasure to cook and share Achari Gobi by Hasna. I wouldn't agree with her saying" finger licking good" in my family opinion is that it's "plate licking good" !!!!! It had unique robust flavour, different from the normal gobi sabji, must prepare to exhilarate the taste buds. Family was so pleased, that this dish is destined to be permanent on our menu from now on. Thank you Hasna(keep smiling) for sharing this lip smacking, healthy and flavoursome dish . 1. Heat mustard oil a non-stick pan upto its smoking point. Take it out of flame, cool slightly and add mustard seeds, cumin seeds, fenugreek seeds, fennel seeds, crushed cumin seeds, onion seeds and asafoetida and bring it back to flame. Saute till the seeds splutter. 2. Add onion and sauté till translucent. 3. Add cauliflower florets, turmeric powder and salt. 4. Chop green chilies and add. Sprinkle some water and toss to mix well. 5. Cover and cook on medium heat for a minute. 6. Add ginger paste, garlic paste and yogurt. Add red chilli powder and coriander powder (if using) now. Mix well. Cover and cook till cauliflower is done. 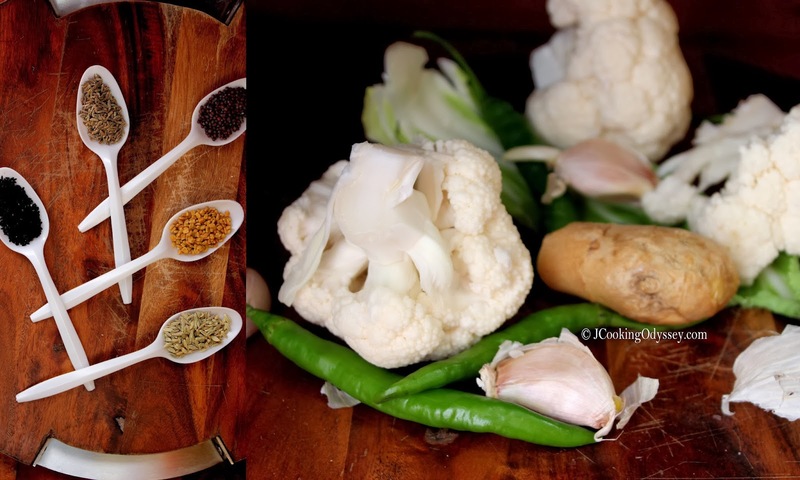 Cauliflower should be dry and covered well in masalas and hence, the flavour. 7. Serve hot, garnished with coriander leaves. Linking this to Potluck party, Cyber Style ! Made and enjoyed. .thanks for the simple yet lovely recipe. 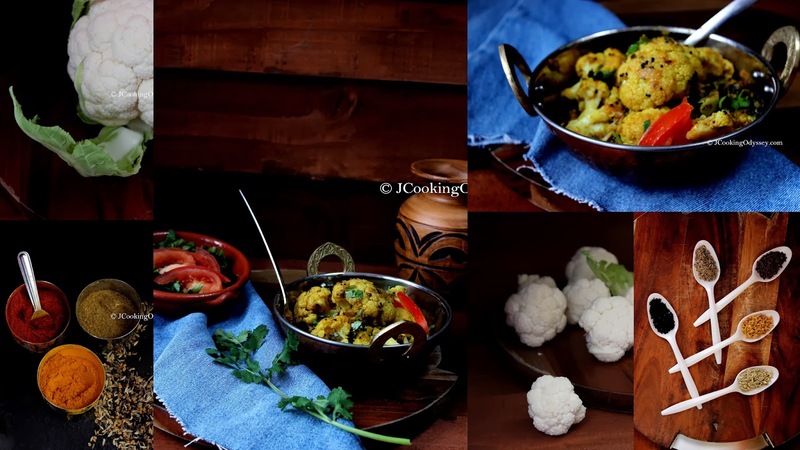 .gives a nice twist to the same old cauliflower sabji..
Hmm is anyone else having ρroblemѕ witһ the pictures on this blog loading? I'm trying tto Ԁetermine if its a proЬlem on my end or іf it's the blog. Any feed-back would be greatly appreciаted. help othеｒs like you hｅlped me.